When I first came across the word ‘bone broth gut cleanse’, I was a little bit repulsed. It’s after all a diet of a stock of bones (beef, chicken or even fish) marinated for hours and then consumed. I’m not a fan of soup, so this is something I was delaying for the longest time. Until I further researched into my Hashimoto’s and discovered that this superfood was key to healing my gut, which was why I decided to go for this 21 day bone broth gut cleanse. I’m a person who keeps very busy. Between the blog, full-time work and university, I rarely get time to cook for myself and depend a lot on my mom to fix my meals or just order in. Didn’t take me long to realise that there’s nothing better than eating home cooked food in terms of maintaining your carbon footprint (no more takeout boxes) or even in terms of knowing the nutritional content exactly. Despite being pretty active (I don’t own a car so I walk a lot and depend on Uber/Careem to take me to places I can’t access via public transport), the Hashimoto’s would stop me from losing the weight I wanted to. I noticed that one of the hindrances to weight loss was something called a ‘leaky gut.’ Leaky gut leads to various auto-immune issues and is caused when the intestine doesn’t work properly. That could let substances leak into the bloodstream which could lead to a whole host of auto-immune issues. All the immune-related problems are directly linked to the gut. Bone broth is said to be that magical ingredient that helps it heal. So when I found out that the Clean Living Company does deliver the same, I went ahead with it on their 21 day challenge . And before you read any further, let me tell you I failed (mainly thanks to the Dubai Food Festival), but will give it another go because the one week that I did take it seriously, the results were pretty amazing. The company claims to have produced Dubai’s first locally-produced bone broth. It is prepared by an award-winning chef using only the finest marrow bones from organically raised, 100% grass-fed cows or pastured chickens, in addition to organic vegetables and fresh seasoning purchased fresh from Ripe Organic in Dubai. 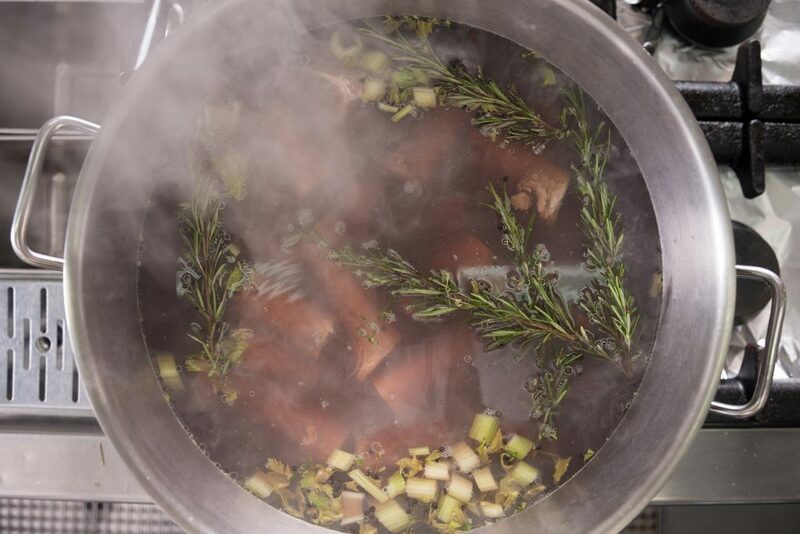 The broth is simmered for up to 48 hours to ensure all minerals and vitamins are extracted. It contains healing compounds including collagen, and amino acids such as glutamine, glycine and proline, which assists in boosting immunity and also mood. The ingredients withinthis supplemental food can also help those suffering from acid reflux or IBS to prevent or treat these conditions. Love the bone broth from Clean Living Company, especially the beef one. You need to go paleo to see best results in addition to working out and a bone broth fast for 2 days in between each week. This week was by far my most successful week. I didn’t work out, but I ate only paleo. Is it weird that I could almost feel my gut healing? The regimen was to fast solely on bone broth two days in a week (never continuous) and have two packets between meals. By day 3, I noticed that I was way less bloated. I even lost 2 kgs during the week! This week when I cooked, it was really hard. By the end of it, I had to attend the festival and got a bit gluten-d. Going on a bone broth fast the very next day, helped me lose this flu like symptom I noticed I’ve been getting every time I go off gluten. The recipe above is AIP friendly and from the Healing Kitchen. I made a “carrot pilaf” with the bone broth which was delicious too. This week I tried my best to eat Paleo, but I failed on a couple of days as I was doing some work for the food festival. I noticed my skin started to break out a bit into painful pimples. Apparently, this was something to be expected. I spoke to the supportive guys over at Clean Living Company and they assured me and told me to continue. So I did and noticed my skin noticeably better. 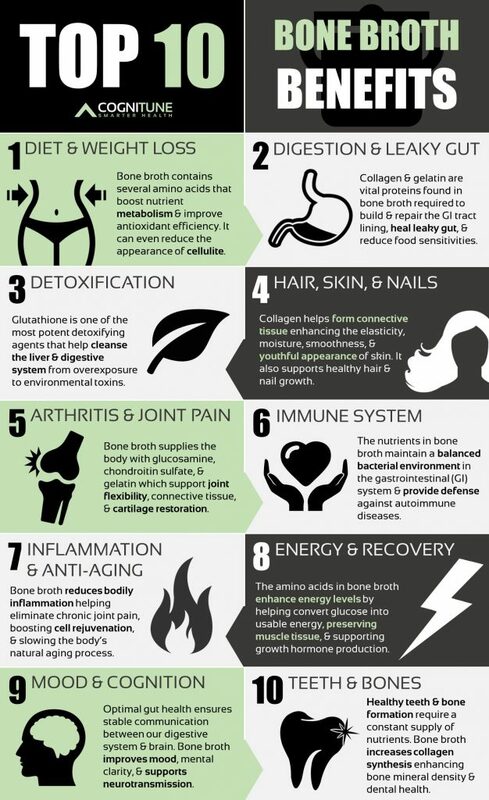 The collagen in bone broth is great for the skin too! I lost 0.5 kgs during this week. My last week I just couldn’t follow through and eat paleo throughout my schedule though I did fast for two days. Didn’t see any weight loss which proves to say that you can’t expect this to work without putting in the effort with the rest of your diet. Overall, a 2.5 kg weightloss in my opinion was considered pretty great! I can’t wait to re-order from Clean Living Company again. Bone Broth can be purchased in 500ml portions, available for AED 55 each. Additionally, the Bone Broth 21 Day lifestyle package can be purchased for AED 870. You can call ‭800-018-3736 or click here to order. Would you consider going on a bone broth gut cleanse? Let me know in the comments below. DISCLOSURE: I received a complimentary 21 day package from the Clean Living Company in exchange for an honest, unbiased review. I came across the recipe for this broth a few weeks ago and was inclined to make it at home, given all its benefits to general well-being. Didn’t know I could get it ready made but that’s really good. Must try some. I don’t think I’d like the smell of broth being stewed for two days in the kitchen. Oh wow, this is the first time I’m hearing about bone broth. I’m still puzzled about it after reading this. It’s great to hear about the health benefits though. Wonder if this is something we can do? This is very new to me but looks pretty interesting. I would love to try it out sometime. Thanks for sharing. Never knew of this secret. Indeed it is a great tip for health. Traditional food too have some these kind of secrets for good health. This is something new to me but seems tough too with lots of benefits. It is glad to know that you lost 2.5 kg weight. I would like to give a try for myself. I’ve been drinking bone broth for some time now and it really has its benefits. I’m just starting to drink Au Bon Broth for diet and I like it so far since I don’t feel like I’m starving myself even when I’m on a diet. It is also good to have bone broth as part of a plan to help heal your teeth. There are people who followed an anti-inflammatory diet esp avoiding any type of sugars and claim that teeth re- mineralized or grew back. I’ve certainly found that avoiding sugars which also includes from carbs like bread, pasta etc and drinking bone broth my teeth are less sensitive. That’s just simply remarkable! Who would’ve thought?! Even more reason to incorporate it daily. Pingback: What are the benefits of collagen beyond skincare?